We would love you to become a volunteer or supporter of our Foundation. So if you would like to join our campaign or help out in any way get in touch and provide your details via the Contact us page . We’re are always looking for people to share their experiences – and that’s not just mums! The Foundation was set up by a Dad, and no-one is more aware than Chris Bingley of just how an important a role dads have in helping to identify PND and how vital they are to supporting their partner through her illness. Fund Raisers – Like all not for profit organisations and charities the money to pay for our work is limited and fundraising is an important activity…. so if you are able to organise fundraising events we would welcome and support you with this. PND Health Champions and Business Ambassadors - we are keen to hear from those willing to share their own stories and expereincesx, helping people to talk about their problems. helping to de-stigmatise PND. We can offer training and support and we can help both individuals and the businesses they work for realise benefits from their Soocial Responibility. Mums – how did you cope with your Postnatal depression (PND), who helped you get through it and what made a difference? Were you able to access the services you needed? 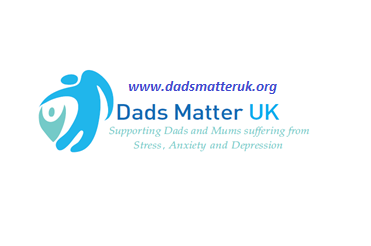 Dads – have you yourself suffered from PND or did you support your partner? What helped you both get through it? Family and friends – do you know someone you have helped, what did you do to help? Health Professionals – where are the support groups, can you help us identify them and provide a comprehensive list nationwide? Can you help us lobby for better and earlier service provision? Business people – we would love a sponsor for our products – to be able to provide information for new families, to have the means to raise awareness and educate people and provide support services for those that need it would be a dream come true – Can You Help?? Help to raise awareness and banish Stigma!